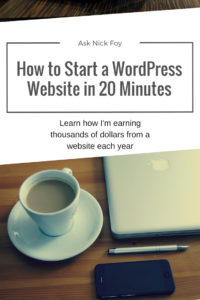 In our post: How to Start a WordPress Website on Bluehost we helped beginners set up a new WordPress website from scratch in 20 minutes. We helped you purchase a hosting plan for your website through Bluehost ($2.95/month) and showed you how to install WordPress from your Bluehost account dashboard. Once WordPress was installed, you were to login to your WordPress admin dashboard and begin customizing your WordPress website. This is where we pick up in this tutorial. We assume you’ve already purchased hosting and installed WordPress which means you’re ready to learn how to master WordPress and discover all the features that will make your website awesome! If you’re not up to this point yet, you’ve got two options. 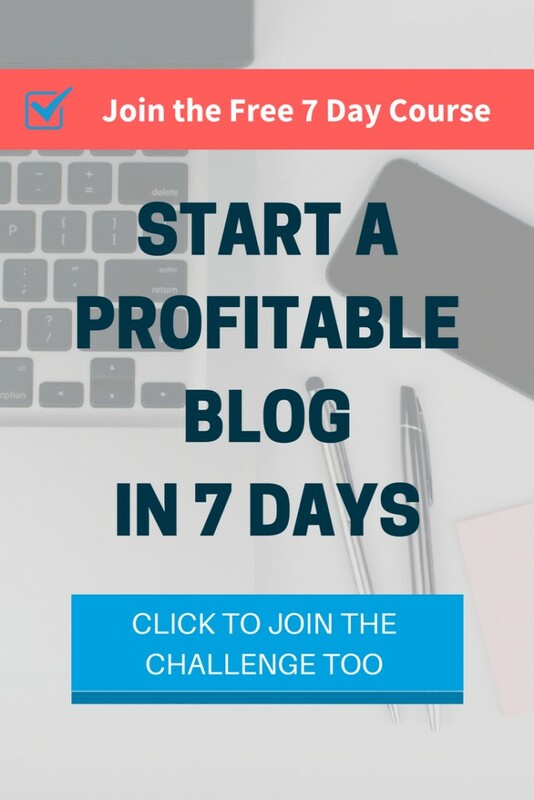 You can go back and read this blog post on how to start a website in 20 minutes or you can check out my step by step course Profitable Blogger showing you how to start, build, and launch a profitable blog in 30 days or less. When you first login to your WordPress dashboard, you’ll notice the black navigation column running down the left hand side of the screen. This is where you’ll navigate back and forth between different pages and settings from the back-end of your WordPress website. 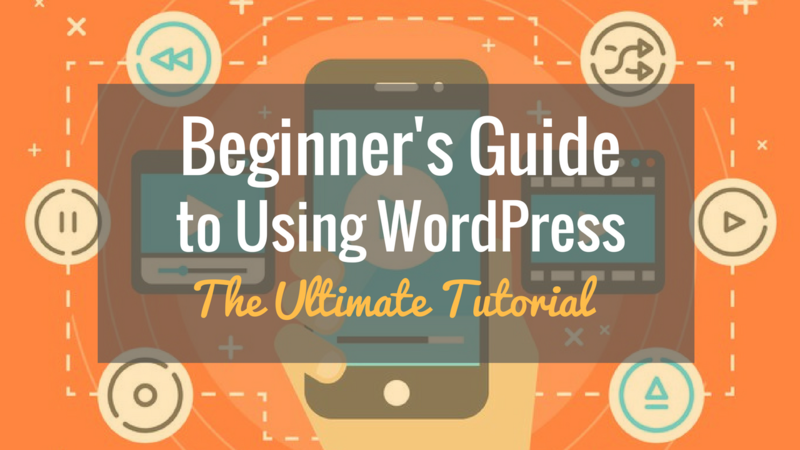 WordPress may seem complex at first because you’re overwhelmed with all the features but you’ll quickly learn that it’s user friendly and easy for beginners to learn within an hour or so of playing around. Click through the different navigation items to get a feel for what each has. Some have drop down menus that reveal more pages like “appearance” and “settings” so hover over them to see the additional options. Here is a tutorial I created where I build a website from scratch in 1 hour. If you already have hosting, you can skip the first few minutes and fast forward ahead to when I’ve logged into the WordPress admin dashboard. Click here to get started creating your website with Bluehost and use this blog post to help guide you step by step through the set up process. Yoast SEO: is the top plugin for optimizing your blog posts and website for search engines to help improve your ranking in Google. Watch a tutorial on YouTube for learning all their features. W3 Total Cache: Speed-enhancing website cache-ing plugin. Seek a YouTube tutorial though for help with all the millions of settings it contains during the set-up phase. I used a tutorial, set it up, and saw my web page load time speed up 2 seconds! WordFence Security: Keep your website secured from tampering and hacking. You’ll be notified immediately of any suspicious activity. WordFence can lock out people trying to log in to your website too many times or who use specific usernames as well as many other features. WordPress Backup to Dropbox: download and install this plugin to ensure your WordPress website is backing up to your Dropbox account. This will give you peace of mind that your website is backed up in case something ever happens. Pretty Link Lite: cleans up links so you can remember the URL that you custom set for the destination you are trying to link out to. You can also re-direct, create, and track links from your website to see how many hits they are getting from traffic. SumoMe: This is an amazing resource, filled with tools to help you grow your website and your email list. There are tools to capture email addresses, increase social sharing, understand your site analytics, and more. It integrates with all the major email providers. Try out one tool or use them all it’s a great plugin. Google Analytics: once you’ve set up a free Google Analytics account to track your website stats, install the WordPress plugin and connect your Google Analytics account to your website so it can begin tracking visitors, page views, site speed, and many other important performance metrics. ConvertKit: having an email opt-in form on your website is a MUST. It will help you capture traffic and market to your readers via an email newsletter or automated email series. 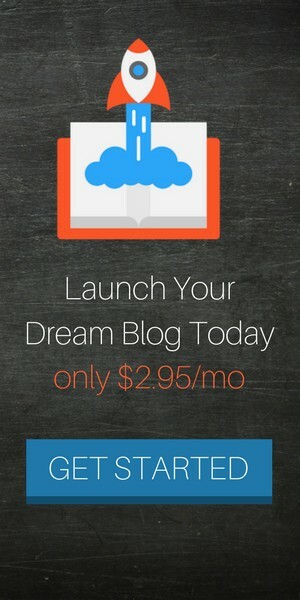 ConvertKit is the email marketing service I use and recommend. This plugin will place forms at the bottom of blog posts and pages so you don’t have to manually copy & paste code. OptinMonster: create beautifully designed opt-in forms for your email newsletter to increase the conversion rate of readers who join your email list. OptinMonster has many awesome features to help boost your email list growth. The Optinmonster plugin will connect your account to your website so your forms can be controlled from your WordPress dashboard.